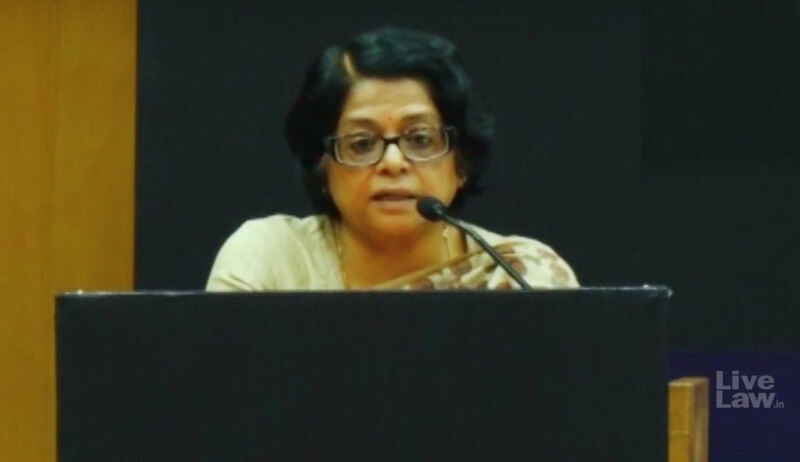 At a panel discussion hosted recently by the Vidhi Centre for Legal Policy in collaboration with the Oxford University, Supreme Court Justice Indu Malhotra provided an insight into the position of “Women in the Legal Profession” in the face of the stigma that attaches to their gender. “Even though I came from a legal background, this profession was not a cakewalk for me. My father was a senior advocate but when I had started out, he was on the decline so there was no clientele as such that I inherited from him....although I did have the benefit of the infrastructure and a vast library that he had built....”, began the judge. “At that time, women were not recognised as Counsel and that is why I took the AOR (Advocate-on-Record) exam to get a foothold in the profession....After twenty years of practice as an AOR, when I applied for senior designation, I was told by two of my friends, bonafide, that it is a male-dominated space and that as a counsel I will suffer as clients mostly want to be represented by men lawyers....However, I applied anyway- even the judges had encouraged me to- and finally after some thirty years of my practice as an AOR, I was designated a senior....,” she narrated. Justice Malhotra advanced how she had to “start afresh at the base” in the profession again when, despite having handled commercial matters as an AOR, she was initially only engaged in family matters, MACT and land acquisition cases as a senior, to be trusted with commercial matters only in her last six years as a Senior Advocate. She added that her contemporary males even commanded a much higher fee. Enumerating the travails of women advocates, she advanced that ensuring a “work-life balance” is a challenge for them, which requires enormous family support, in view of the legal profession being a “jealous mistress” that takes up a lot of time. “Women find it hard to lobby for such posts as the Solicitor General, the ASG etc. It was only in 2009, after over 60 years of independence, that a female ASG was appointed for the first time and only because the Attorney General had a very high opinion of her legal acumen. Even in the High Courts, which is the base area, women are not commonly appointed as ASGs....No doubt that These are political posts, but they are a very good platform for exposure to diverse matters and for recognition....”, she continued. He quoted some statistics showing the poor representation of women at the bar and the bench, as revealed in the research conducted by Vidhi- only 10% of the Advocates in the lower judiciary are women, while the percentage of female Senior Advocates in the Supreme Court is a meagre 2.9%. Further, since 1950, there have been only 8 female judges in the apex court; even the present number of three women judges, he regarded as “dismal”. He recalled an interaction, from when he had commenced pursuing the Bachelors of Law, with a class fellow (who, to the amusement of the audience, he disclosed to be his present spouse), about how her family had not been in favour of her going to law school in the fear that it would “give her so much freedom which should not be given to women”. By virtue of such performance in the judicial services in the last 7 years, the judge seemed optimistic that the “complexion in the lower judiciary” shall change in the next 10-15 years; that As far as the representation of women in the lower judiciary is concerned, over a period of time, it will be higher than men because of their own merit. Justice Sikri mentioned how at a recent discussion held at the Yale Law School, five women judges from different international jurisdictions had spoken of their struggles at the bench, with one revealing that the Presiding Judge would not even look at her or discuss with her while deciding cases or dictating an order in court and that the benchmark for female judges to prove their credentials is for them to be exceptionally good unlike their male counterparts who can comfortably be average. In the same thread, he quoted how former Chief Justice Leila Seth, the first woman to become the Chief Justice of a state High Court, said that whenever there is a function, the women are to oversee the tea arrangements. “The Mindset is still that women judges be given lighter work and work that is not very important”, continued Justice Sikri. “Now that I am a member of the collegium, I will suggest trying to have a mechanism where women of equal merit get a fair chance”, assured the judge.